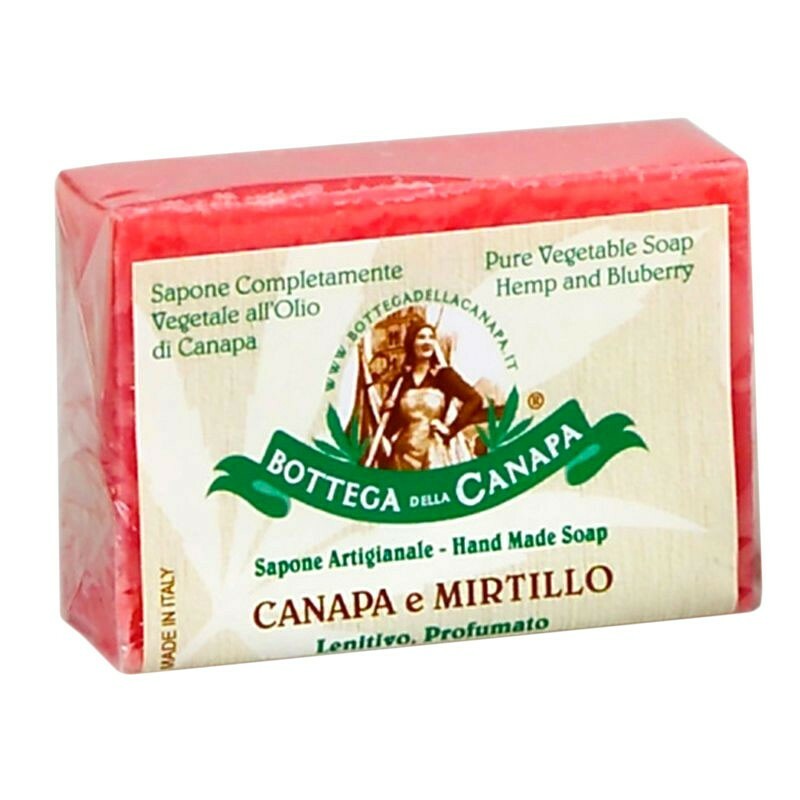 100% vegetable artisan soap with organic hemp oil and blueberry. 100g pack. Soothing, Perfumed. For normal and sensitive skin. Made in Italy. 100% vegetable artisan soap with organic hemp oil and blueberry. Soothing, fragrant. For normal and sensitive skin. sodium cocoate, potassium cocoate, aqua, glycerin, parfum, cannabis sativa seed oil, vaccinium myrtillus fruit / leaf extract, C.I. 14700, C.I. 74180.